It is with bittersweetness that I announce, today, the closure of Lantern Financial. It has been just about 10 years since I officially launched Lantern Financial. During this past decade, our team of more than 35 staff and interns have had the privilege and honor of helping hundreds of younger people make sense of our financial lives – create and live on budgets; use retirement accounts and investments to be set up for the future; safeguard family members; buy houses; have kids; go back to school – the list goes on and on. Along the way, we have also prepared hundreds of college students to start out on the right foot, as well as hundreds of engaged and newlywed couples to learn to effectively talk about money in their relationships. Our unique approach has been featured nationwide in a humblingly long list of publications and media outlets, including the New York Times; NPR’s Marketplace Money; and The Boston Globe. It has been an all-encompassing joy every day to run this company – to know that each client (who always seems to become a friend along the way) will live a comfortable and lower-stress life, following our work together, has always meant so much to me. I could not be more honored by or proud of the work we have done, and the countless lives we have improved along the way. My own life has always been about helping people live lives that match their values, and this work has been a wonderful way to meet that goal. Following the 2016 U.S. Presidential election, I found a new personal and professional calling to the same end. I spent this past year running for City Council in Salem, Massachusetts. After lots of hard work, a week ago – I won! As I transition into this next phase of my life – using my budget and finance background for public service, it is time to close this last chapter. I am excited to spend my time serving my neighbors throughout this city that I love so much, and to helping fellow outstanding candidates, close to home and throughout the country, seek elected office. I also look forward to putting more intentional effort around growing “Adventure Girls” – an empowerment organization for women and girls that I started a few years ago with my daughter and some of our friends. If you are looking to continue or begin your own financial planning journey, I recommend you do so! The decisions you make about your money today can change everything for you in the future. To find a planner that will be a good fit for you and your family, visit the Certified Financial Planner™ Board of Standards’ website: http://www.letsmakeaplan.org/ or the website of the Financial Planning Association: http://www.plannersearch.org/. Finally, I want to say THANK YOU for allowing me to join you at the most vulnerable points in your lives – weeks before weddings; in the months leading up to the births of your children; as you were deciding on your first and your forever homes. Words cannot express how much it has meant for you to put your trust in me and allow me to guide you through these profound moments. I am sure I have shared this with all who have come through our doors: you can have the meaningful life you want, if you surround yourself with what you love and minimize the rest. I wish each of you meaningful and fulfilling lives, centered around what matters most to you; and the financial wisdom to use your money to get you there. Best wishes for a bright future! Success-inspiring talks we can deliver to your group, organization or conference. Please call us at 617-482-2700 or send us an e-mail to get started toward your bright future! Lantern Financial Presents: Fun, interactive Premarital and Newlywed Counseling Workshop! Sessions are offered either over lunchtime or during the evenings for your convenience. The next round of workshops begins February 22, 2016! Nobody likes unpleasant surprises, but when Allison Brooke Eastman's fiancé found out four months ago just how high her student loan debt was, he had a particularly strong reaction: he broke off the engagement within three days. Click here to find out what Lantern President, Lisa J.B. Peterson, CFP(R) has to say about how debt can impact a relationship, in this recent New York Times article. What do you think? 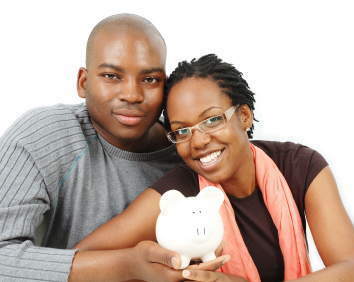 When would you reveal a mountain of debt to a potential marriage partner? Is there an amount of debt that renders you unmarryable?